We offer a paint coatings management and consultancy services as well as technical expertise on specifications, project costings and supply. Architects, engineers and construction planners often specify in a very general sense the requirements for a particular job. If specifications are honed and refined in consultation with us, you will benefit from our expertise and input. We can deliver nationwide within 24 hours. We Listen Better. You Plan Better. 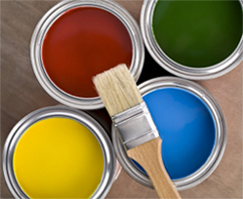 Complete Coating Services, is a company with a new and innovative sales and consultancy approach to the paint,coatings and waterproofing market. Our expertise includes the supply of coating solutions backed up with technical expertise in project consultancy in many sectors such as fire protection coatings , floor coatings, crystalline waterproofing and corrosion control. 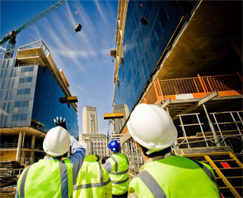 We have extensive project histories in the following sectors : Civil and Structural Projects, the Pharma and Bio-Pharma Industry, Petrochemical and Food-Hygiene Industries. We operate from a premises close to the centre of Cork City and operate all over the Republic of Ireland. We source and distribute materials that are manufactured with various specifications backed by quality standard bodies such as LEED Green Building Solutions, EPA, ETA,CE,CERTIFIRE ISO 12944,ISO 9001,NORSOK, LLoyds, we always seek to promote a service based on best practices of our industry. Our staff, has combined, 70 years of experience and expertise in the supply of coatings to the market nationwide.